Discover your RAW files right after the shooting, without the need of a computer ! 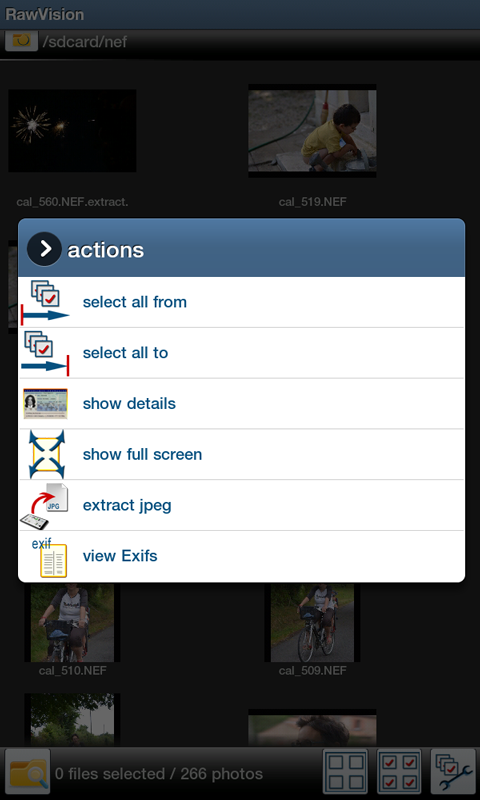 WIth RawVision, you can now easily empty your photos cards on your Android tablet or smartphone, check the RAW files, manage the files and import them. 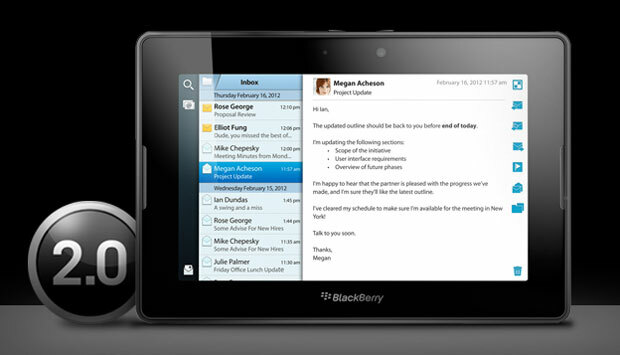 This application is especially intended for Android tablets, but it will work as well with smartphones. Please note that handling very large images such as those taken with modern DSLRs, is very memory-consumming and not every Android terminal is able to use them smoothly. 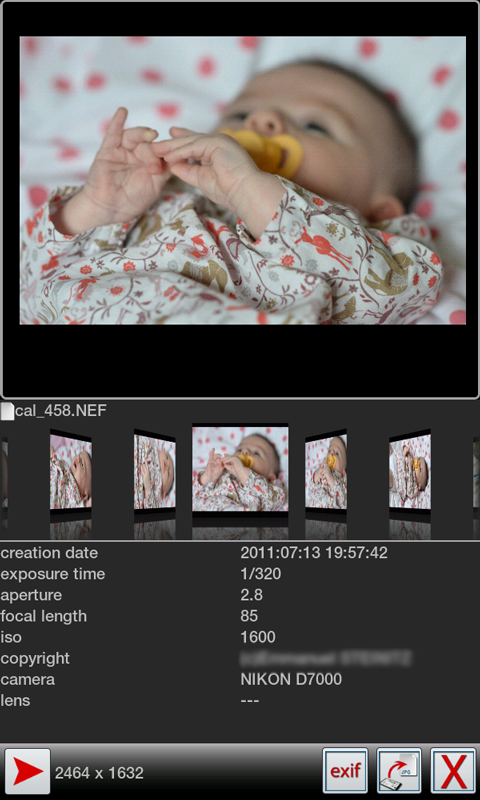 RAwVision opens Nikon NEF, Canon .CR2 and some Pentax PEF files. Also opens JPEG and PNG. File explorer with possibility to register favorite folders. To select a file, click on it. To perform an operation on one file, make a long-click on it. To perform an operation on several files at one time, select all the files and press the action button on the bottom-right of the screen. 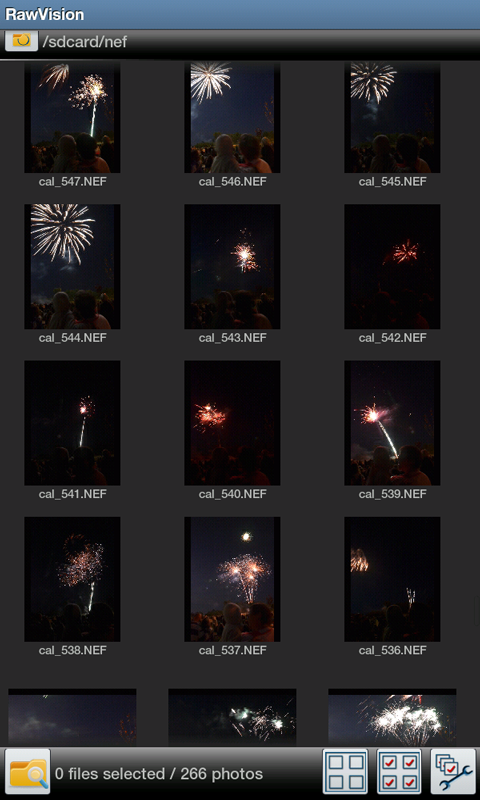 You can browse all the photos by sweeping the screen right or left. It displays a bigger version of the photo as well as the basics Exifs Data. You can also display all exifs data, and extract or delete file. 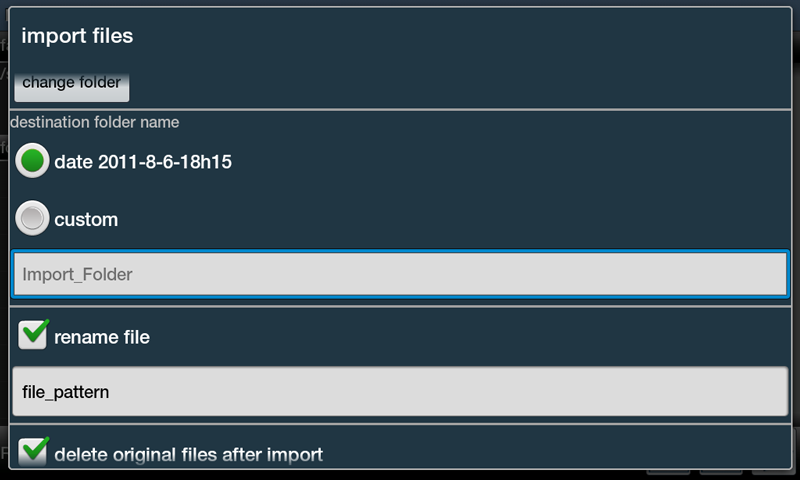 You can import selected files by choosing a root folder, then a name for the new import folder - or the current date. You can also choose to rename the files and delete them after import. You can delete files either one a time or several together by selecting them before. You can extract a JPEG preview of the RAW files. 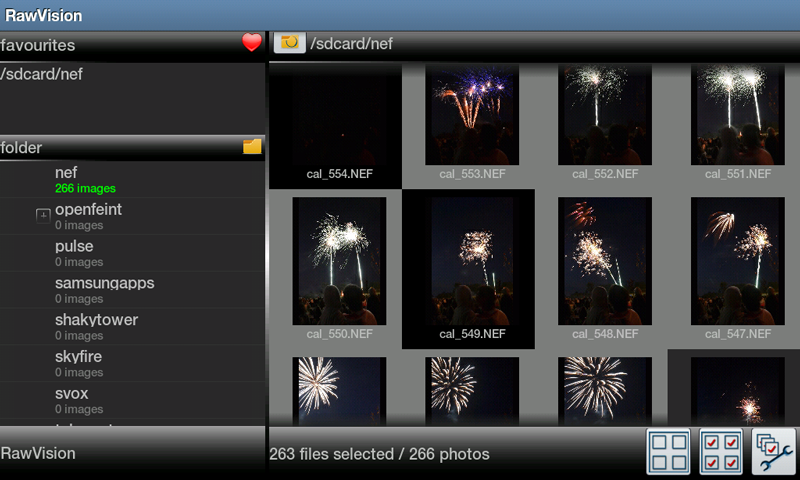 This can be handy if you want to share your photo easily from your Android device. - the carousel has problems handling very big folders. - some Exifs data are not well decoded. RawVision is still a young piece of software. MAny features are to be developped and some bugs can still be present. 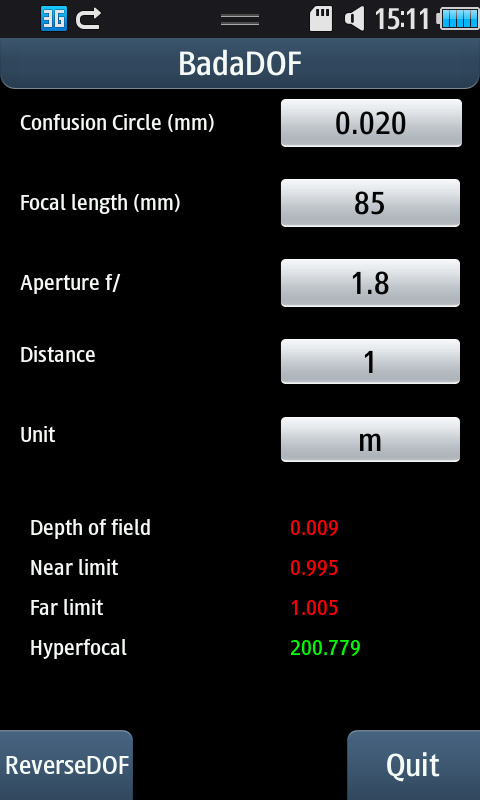 /!\ Please taken a few seconds to rate the application on the Android Market. /!\ Don't hesitate to send comments by email, feedback is very important to improve the application's quality. /!\ If you have question, send an email as it is not possible to reply in the comments.